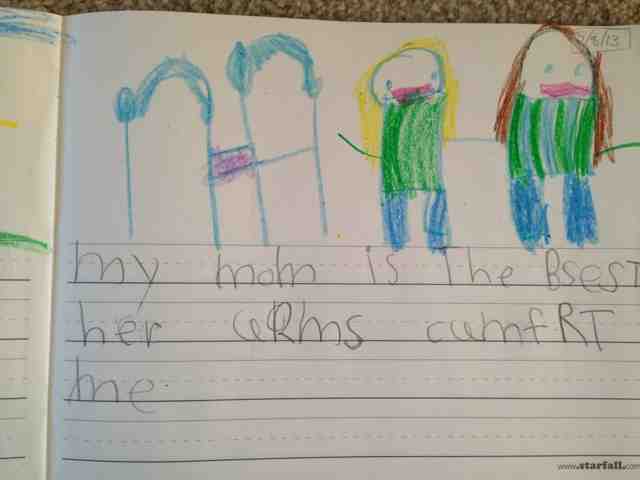 Her school assignment was to write two sentences about her mom and what makes her mom special. So often I worry that I'm failing her in so many areas... but reading this right here... I'm completely grateful and humbled and thankful to God that this is what she thinks of first when she's asked why I'm special. What a HUGE from-the-heart tribute to a mom who's 'doing it right.' I'm so very proud of you!